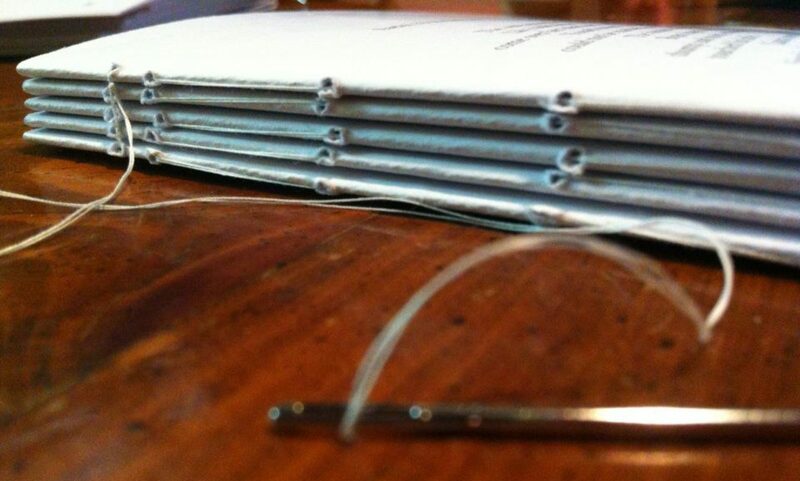 Hebrew narrative is full of gaps. It’s part of the literary art. Did Uriah know about David and Bathsheba? With whom did Jacob wrestle? How exactly was Abishai part of Joab’s plot to kill Abner? These gaps excite our imaginations and draw us into the text by means of curiosity and suspense, but they also leave us with niggling interpretive questions. The medieval expositors who engaged in midrash sought (“midrash” comes from the word “to seek”) to fill in those gaps by making connections, seizing on clues as small as stray consonants, drawing in folklore and mysticism, explaining background, imagining. Here’s an example. In 1 Samuel 28, Saul (who had previously cast all the mediums out of Israel) has been rejected as king and has given up seeking G-d, and now wants advice from the man of G-d who anointed him. This is Samuel, but Samuel is dead, and the only way to consult him is to consult a medium. When he finds a medium and convinces her that no harm will come to her if she conjures a ghost in direct defiance of the king’s (i.e. his own) order, she consents. But as soon as the spirit rises out of the earth, she panics—“You are Saul!” Well, what on earth about the spirit gave her the identity of the flesh-and-bone man standing in her tent? The midrash on this passage explains it thusly: A spirit conjured from the dead will rise feet first, head down, except in the presence of the king. Then, out of respect, the spirit rises head first, feet down. Samuel must have done so, and the sight of him rising, upright, told her everything: This was Saul, the king. 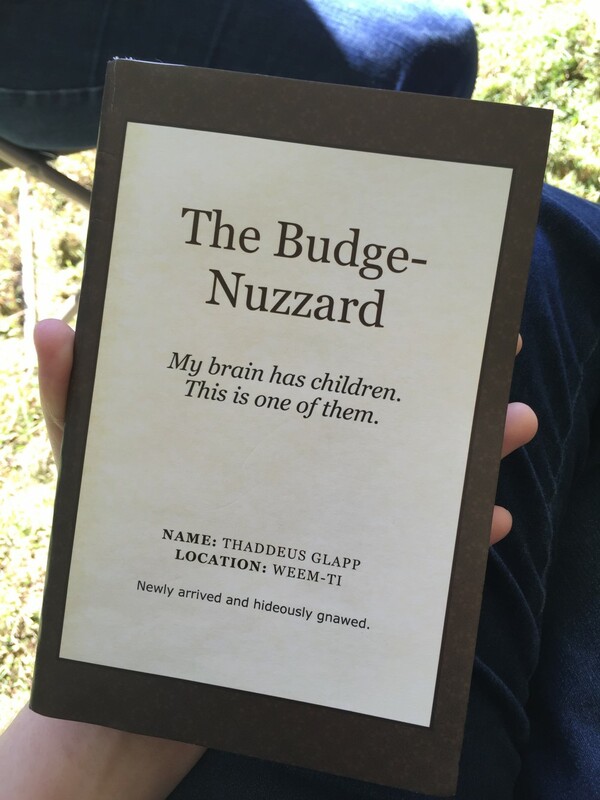 If you have not yet read the Budge-Nuzzard, do start now. 1 The midrash on 1 Samuel 28 does not end here, and it is fascinating to read. For an introductory study, see my paper The Witch of Endor Toward a Literary Treatment, written last spring. 2 The name of a Hebrew book is taken from the first major word of the book’s text. For example, the first word in Leviticus is Vayikra—“He called.” Rabbah—“great”—is the term given to the expansion of the text via midrash. The midrash on Leviticus is therefore Vayikra Rabbah, and my midrash on the Budge-Nuzzard is properly named Nolad Rabbah, as the first word of that story in Hebrew is Nolad (“It was born”). The language of the Budge-Nuzzard never ceases to amaze and delight (and sometimes choke) me, but there is one passage in particular which causes me to go into raptures every single time. So did I creep through every crevice and plumb each pocket within the Sha-Una’s cavernous pouch, and yet I found no crunchy bit nor bulky crumb to drive my hunger back from whence it sprung. Fear took me. Only one course of action could my mind now conceive: To slay my hunger ere he slay me. Glorious. Ack. i’m just going to lie here for a bit until the room stops spinning. Okay. i think i can sit upright again. Let’s walk through a bit of the poetry. Here are two sets of alliteration: CC, PP. And then we continue reading and find a phrase which echoes that alliteration: CC, PP, CP. And here we have chiastic alliteration: CBBC. Mind. Blown. …yet I found no crunchy bit nor bulky crumb to drive my hunger back from whence it sprung. In the same line, there is a very nice bit of assonance. When reading aloud, the emphasis naturally falls on these two highlighted words, which heightens the effect of the assonance. Dread is so simple. Amidst the complexity of this passage, this three-word sentence rises up to grip the reader. Because of the length of the previous sentence, it’s natural to pause before this one. And each word here is weighty, yet most of the weight hangs on that first word. i find this appropriate. Only one course of action could my mind now conceive: To slay my hunger ere he slay me. And this near-rhyme echoes the assonance above. Again, to strengthen the rhythm as well as the near-rhyme, the major emphasis is on the last syllable of each sentence. But the rhythm here is not as simple as the assonant line above. The march of the first half of this line is inexorable, mirroring the inevitability the narrator conceives. Then the rhythm pauses on that first instance of the word “slay.” The sentence hangs on that word until the fall of the very last syllable. Now read the whole thing again, aloud, and let the language do its work. Note: A.S. Peterson, the author responsible for the Budge-Nuzzard, has also written a set of historical novels, several literary short stories, a blog post that literally changed my life, and a poem cycle which has undone me again and again. He writes good sentences soaked through with sehnsucht and absurdity. i want to be just like him when i grow up. Go forth and read. Alert: This post is in English. Weird, i know.